Shivani and Karan's Travels!!! 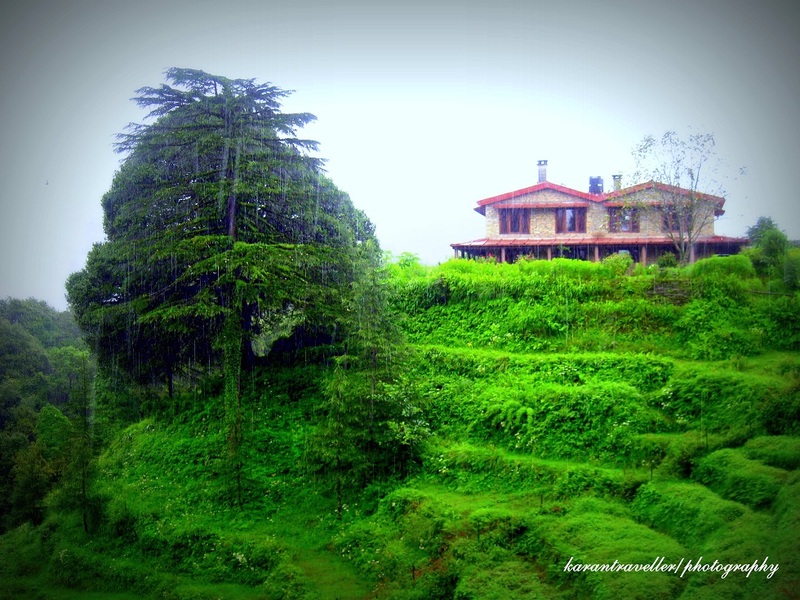 - A PhotoJourney: BINSAR - A Green Paradise!!! I last went to jungle 4 months back and with three holidays coming up from 15th to 17th August, I wanted to head to the Jungle again. Though God has been very kind this summer in plains but the humid weather was really taking its toll on me. I started finding a place where I can unwind myself for 2 days and if it’s a jungle, then nothing like it. 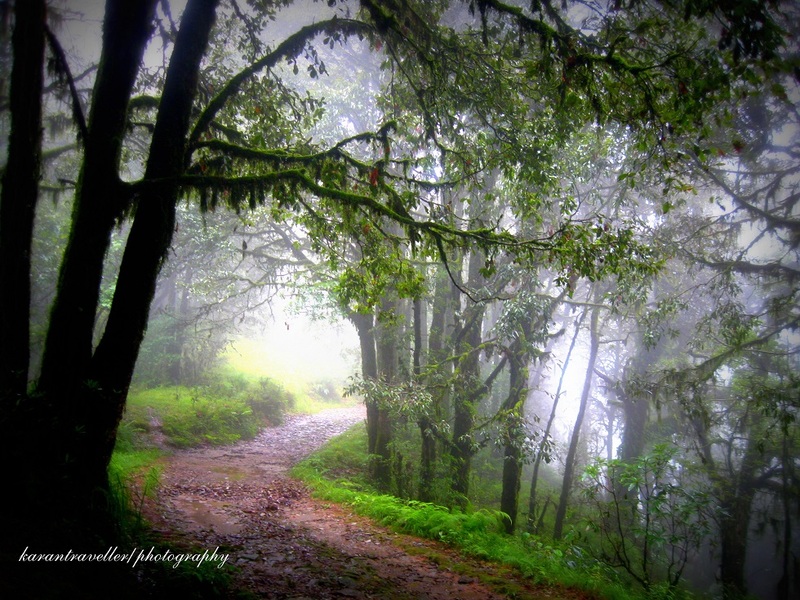 And then suddenly a place came up in my mind… Binsar. Road Distance from Delhi to Binsar is 385 Kms. It's best to leave early in the morning preferably by 4.30 am to 5 am to beat Delhi and U.P traffic!!! 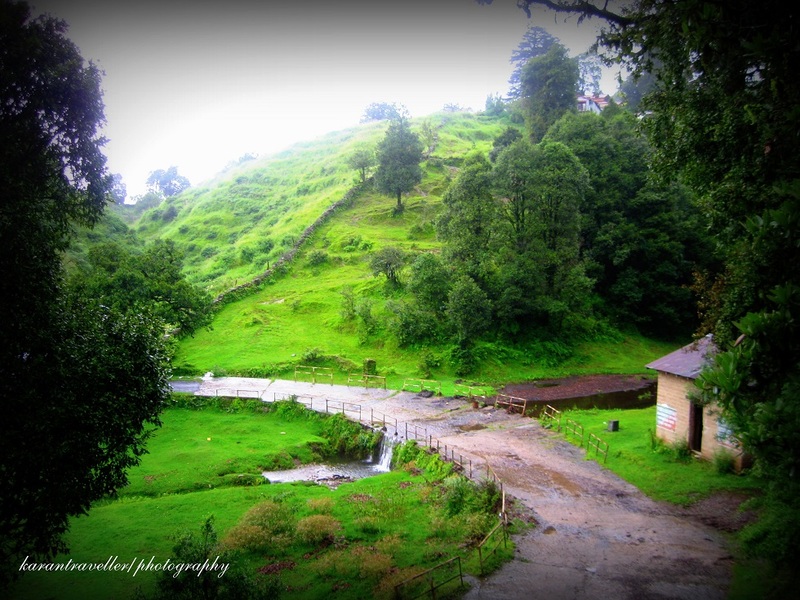 BINSAR is small, secluded hill station in Uttrakhand, India at an altitude of around 2400mts. Binsar is an ancient town. During the seventh and eighth centuries, Binsar was the summer capital of the Chand Rajas. The Bineshwar temple here is a place not be missed. It was built by Raja Kalyan Chand and is situated 3 km below the summit. Binsar lies around 120kms ahead of the last railway station Kathgodam. Apart from being a beautiful hill station it is also a Wild life Sanctuary with a covered area of almost 46sqkm.It was declared a wild life sanctuary in 1988. One can find animals like Leopards, Barking Deer, Langurs, Chital and Mountain Goat. The place is also a Birders Paradise. The Sanctuary is said to be the home to around 200 bird species. If you love walking, I’m sure you are going to fall in love with the place. After zeroing down on Binsar, started the process of Hotels bookings, Train booking and necessary travel planning. This time I decided to take the Train to Kathgodam, the nearest station to Binsar. 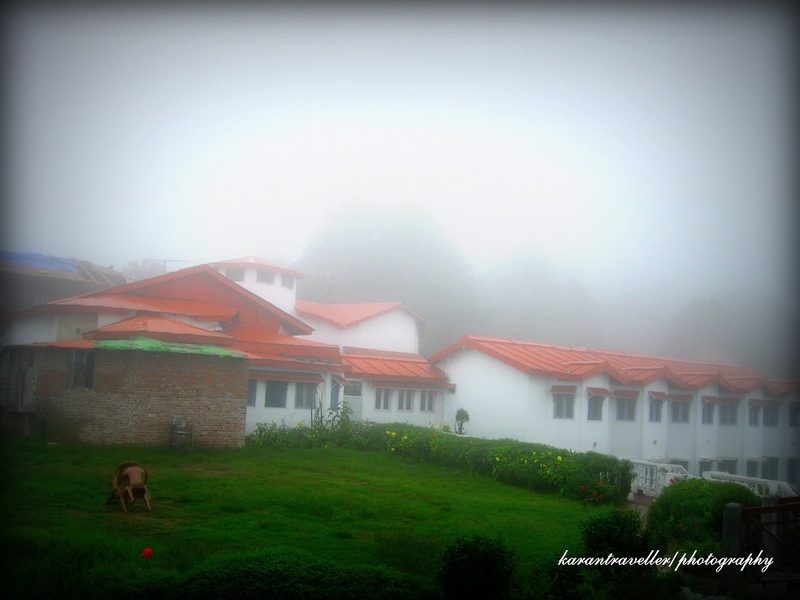 The best place to stay in Binsar, if you are a nature freak, is Kumaon Mandal Vikas Nigam Guest House. It’s on hilltop, an exotic location with great views of the mighty Himalayas. And it’s right in the middle of the Wild life sanctuary. 3.00 PM, 14TH August: As I started from my office for my home in Gurgaon, I realized that GOD was perhaps thinking of making some kind of sea in NCR to solve water scarcity in one day. It was raining like crazy. There was water all around on the streets and I was praying to HIM to somehow lower the water level on the streets so that I can reach home, pick my bag and reach Sarai Rohila railway station. My train had to start at 9.55pm. 5.15 PM, 14th August: I called up the taxi stand and asked them send a car to my house by 6 PM so that I start early. All hell brooke loose when I heard these words from him, ”Sir jee you will not be able to make it on time in any case, there’s a huge jam in all of Gurgaon and Delhi and my all cars are stuck in traffic jam”. I called up few more taxi stands but all had the same story to tell. Somehow the first taxi stand owner called up to say that he has an old Ambassador which he can send but it has very less CNG, had to be refilled at some CNG station. And I think I don’t need to tell the length of the queue that you can expect at the CNG station in Delhi. Well, as I had no choice, I started for Railway Station at 7.00pm. 9.30 PM, 14th August: It was more than two and a half hours since I started from Gurgaon and I was still stuck in a bad traffic jam just after crossing Karol Bagh. I decided that if in any case I want to reach the station by 9.55pm, I have to RUN from there leaving behind all the comforts of my good old Amby. Somehow, after going through much of mental trauma, I reached Sarai Rohila station. The feelings that whether I am gonna make it to the station or not might have crossed my mind for about ZILLION times. At one point of time when I was in my Amby, I even called up my brother and told him to get dinner ready for me as I might be coming back!!!! But anyway that torture was now over and I went OFF to sleep on my side upper berth in Ranikhet Express. 8.00 AM, 15th August: As I stepped out of the train at 8.00am, I wished myself HAPPY INDEPENDENCE DAY. I came out of the Haldwani Railway station and hired a shared taxi for Almora for 150/- bucks. Great deal, it was a Maruti Alto. Up till Almora, shared taxi is OK but if one needs to go to KMVN Rest House BINSAR, one has to hire a personal taxi from Almora. Though Binasr Wild life sanctuary is 30kms from Almora but the Guest House is 10 kms inside the sanctuary and there is no public transport till the hotel. By the time we reached Almora, Ravi became a buddy. He offered me a drop till Guest house for 250/- bucks more, though the local taxi drivers charges anywhere between 500~700/- Rs from Almora. It’s a beautiful drive, specially the 10 kms inside the sanctuary. 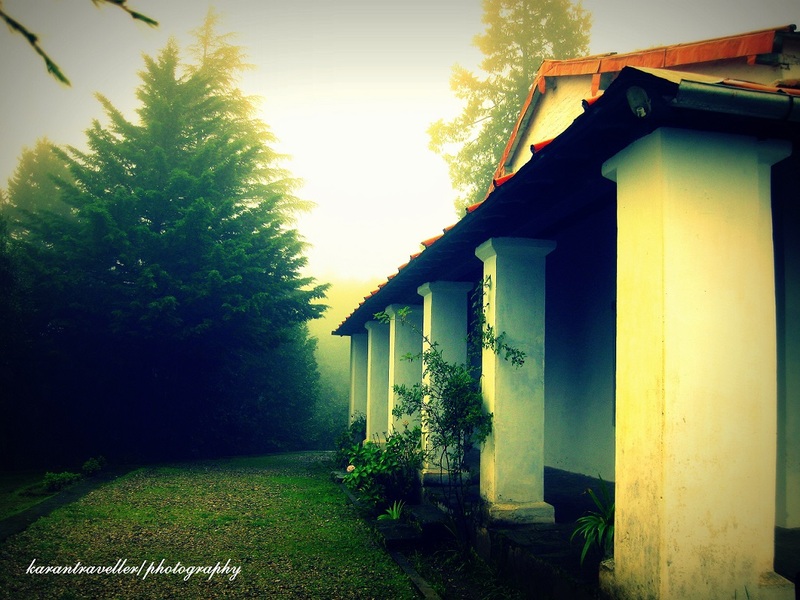 A very narrow road leads you to the KMVN Rest house. 1.00 PM 15th August: KMNV TRH Binsar is at the perfect location. I checked into my room. The rooms were nice n cozy. All made of wood. The rooms on the first floor have better view. I found the rates at KMVN Binsar to be very reasonable. It was already 1.00 pm, room service guy, Narayan, came to my room and said “Sir, your Lunch is ready”. It was foggy and was drizzling. After having my much needed hot coffee, I headed for lunch. 3.00 PM, 15th August: After eating heavy lunch, I thought of taking a small walk into the jungle. There’s a nice and heavenly jungle trail up till a place called ZERO POINT. It is said to be the highest point in the whole of Almora region offering beautiful views of snow clad mighty Himalayas. From 'Zero Point', it is possible to see panoramic views of gigantic Himalayan peaks such as Kedarnath, Shivling, Trishul and the Nanda Devi. It is One and a Half kms from TRH. One can hire a guide also up till Point Zero but it is not necessary. But one should not venture too far from the trail because the last thing that you will want to happen to you is that you get LOST. According to the official figures, there are 20 leopards in the region. Though Leopard is a very shy animal and there has been a very rare case of Leopard attacking a human but nobody wants to be his dish for the dinner. As soon as I ventured into the jungle it started drizzling. The Jungle looked beautiful in rain. I must admit as I ventured further inside, I had a gut feeling as if somebody is watching me from behind the bushes. Just the thought of it gave me Goosebumps. After taking a few snaps of the place I headed back to the hotel. I enjoyed 2 hours spent in the jungle. 7.00 PM, 15th August: There is only solar electricity in the hotel. Solar Electricity is switched on daily for 2 hour in the evening i.e. from 7.00pm to 9.00pm. In these two hours you can charge your mobiles/cameras in the reception of the hotel. There are no charging points provided inside the rooms. And the dinner time is also the same. As I was sitting in the reception charging my handy cam, a fellow traveller who had just checked into the hotel seemed to be very excited. He told us that on his way up to the hotel he saw a fully grown Leopard just 1 km from the hotel. 6.30 AM, 16th August: After an early breakfast I decided to go for a 15km long trek which with will cover a good part of the Sanctuary. I might have walked only around 2 kms from the hotel when I heard an alarm call by barking dear. He continued his call for almost 5 mins making it for sure that there is a Leopard nearby. I stood there for almost 20 mins hoping that I might get lucky and will get a glimpse of the Leopard. I did sight the barking deer but were not able to see any leopard. I again started walking further. The jungle was beautiful and a slight drizzle added to the beauty of the place. I spotted Mountain Goats, birds and many butterflies. 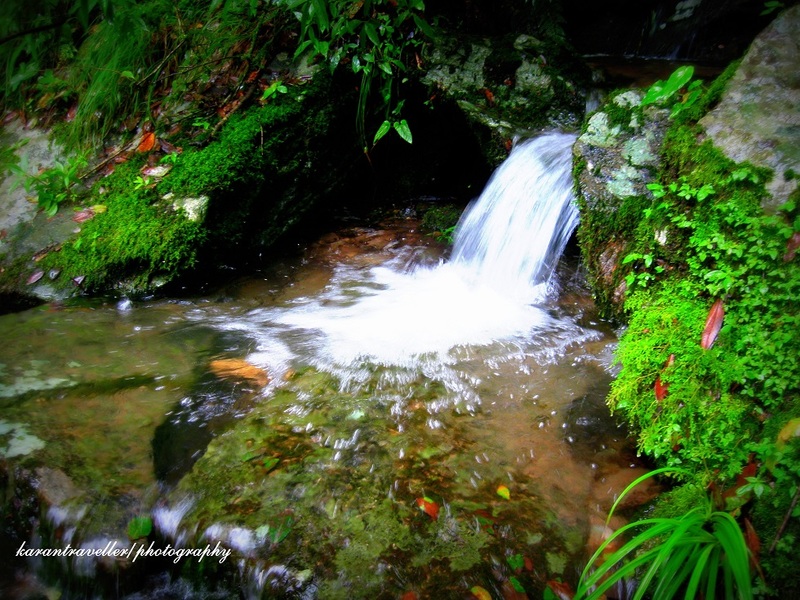 Due to rains there were many small water streams in the Jungle. They just looked amazing. I completed the heavenly trek by 2 pm. By the time I reached back hotel, it was already lunch time. 6.00 PM, 16th August: I was sitting on the rooftop listening to Rabbi Shergill. As it grew dark, I realized it was a full moon night and the moon was playing hide and seek with dark clouds. Then suddenly the sky opens up and it looked as if the ALMIGHTY is peeping through the cloud cover. It was amazing!!!! But suddenly the thought of going back to Gurgaon the next day saddened me. Somehow I consoled my self and then realized that two couples were standing on the terrace and glazing the sky too. We had a nice chat about the place and I came to know that they were also from Gurgaon. They had come by their own cars. We then headed to the dining room for our Dinner as it started to rain again. They offered me a ride till Gurgaon the next day. By the time we had our dinner, we all were friends. 8.00 AM, 17th August: As agreed on the dinner table we met at the reception at 8.00 am. After having our breakfast we started our journey back to the plains. 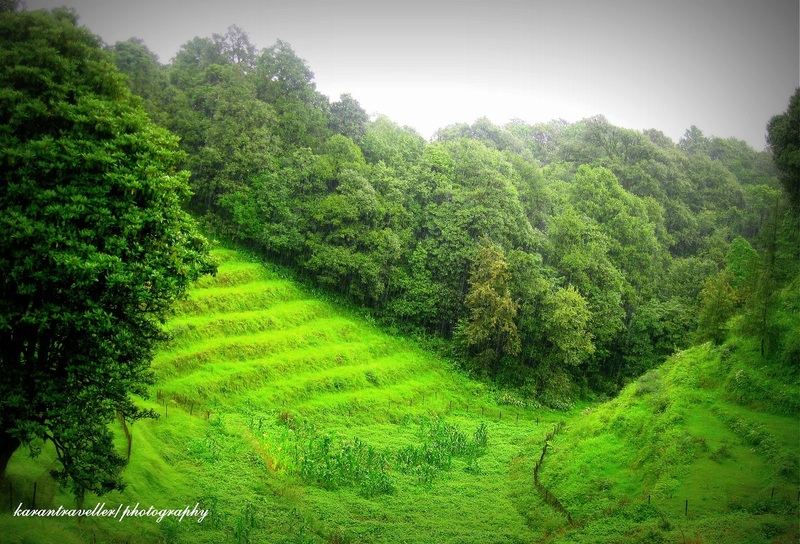 It was raining all through the way up till Haldwani. And at Haldwani we got stuck in the jam for almost 2 hrs. The whole journey was full of traffic jams and slow moving traffic through out the way. They dropped me back home at 12.30 in the midnight. I must say that I got my much needed perfect weekend break and it was well worth all the effort. I enjoyed every bit of it. 1. KMVN Tourist Rest House - Govt run guest house. Amazing location, right inside the Sanctuary. Contact http://www.kmvn.gov.in/ for Online Booking. I actually wanted to compose a simple remark to express gratitude to you for those splendid secrets you are giving out at this site. I was planning to go there.But after reading the presence of leopard , I am rethinking.How safe is it to go there and roam alone? Data says that one is more prone to die of road accident than Leopard attack!!!! Enjoy your trip, it's a beautiful place. Don't venture out alone at night, that's it and you will be safe. First of all Karan, a very well crafted blog ... just paints the picture even without the pictures here. Binsar is absolutely one of the most serene and calm hill stations around Delhi, and thanks to the less commercialisation unlike some of the better known ones. With majority of us enjoying off beat destinations, Binsar is absolutely an apt place to visit as it offers so much right from Flora, fauna, wildlife, treks, 270 degree view of the mighty himalayas. Due to the lack of commercialisation, (I'm very glad) Binsar is home for many animals and leopard being one of them too. I was lucky enough to witness one during an early morning walk. I had left after sunrise for some photography, when suddenly he crossed the road about 50mts ahead. the leopard stared for about a few seconds and then simply walked away (I could thank my stars as well.) but as it is said, respect nature and it shall embrace you in and with its beauty and its ways. While the properties inside the sanctuary are beautiful, another very well done establishment that has recently come up just short of Binsar sanctuary gate is 'Mir Bahay'. It is situated away from the regular population on the Almora-Bageshwar road in a secluded area yet very easily accessible. Mir Bahay is actually a home, offering homestay accommodation but offers a lot more than some of the expensive commercial establishment around the area. Its a property right off the main road, but away from the village and offers enough privacy. One of the biggest advantage I got as an avid traveller is, that I was served hot food even after mid-night. Anyone who is travelling to Binsar, should definitely consider looking at Mir Bahay as an option. Very nice post. The summer capital of the Chand Kings of Kumaon, Binsar is perched on top of the Jhandi Dhar hills. Home to the Binsar Wildlife sanctuary, it has an exotic variety of fauna and flora, uncharted spots, splendid views of the Himalayas and astounding natural beauty. Check out all hotels in Binsar also. I am really glad I have found this info. A good web site with interesting content, that is what I need. You have done a outstanding job! Thought I'd tell you. This Binsar is different from Binsar Mahadev in Pauri district of Uttarakhand - which i went to. I've been at both the places, in fact all the 3 places - binsar mahadev (peethsain, pauri), binsar (sauni, ranikhet) and binsar wildlife sanctuary (near deenapani, almora). 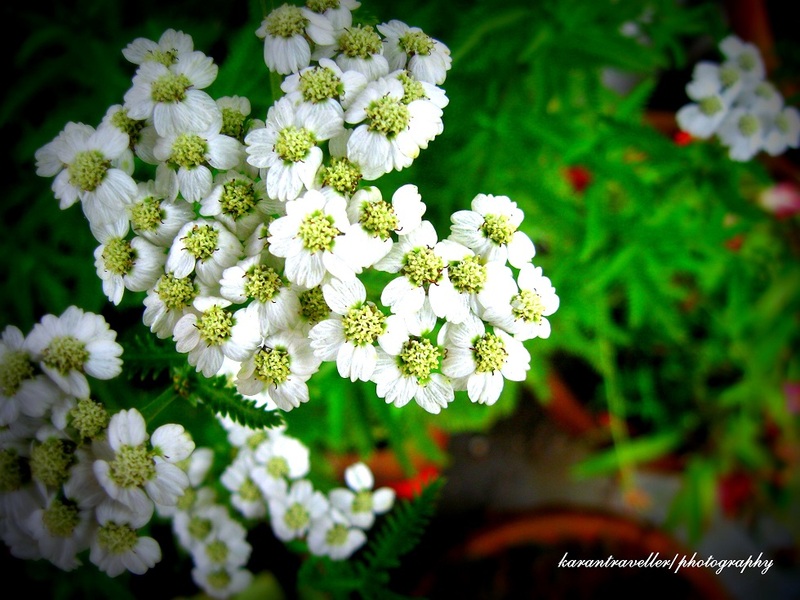 Nice blog... enjoyed it very much. Bluesky Taxi offers taxi and car rental services for Airport drop Cab in Gurgaon , Railway station drop and all other local or inter-state taxi needs. We provide taxi and cabs services at PAN India level for individual and corporates. nice blog about travelling. visit Udhampur with our taxi services from Mankotia Holiday Travels. taxiinudhampur.com is the place where you can locate taxi in Udhampur. Taxiingurgaon offer taxi in Gurgaon , Taxi Service in Gurgaon ,Cab in Gurgaon , Car Hire Gurgaon , Outstation Cab in Gurgaon service for local to outstation, airport cab hire services . Nice blog! Well described seems like I am present there while reading. Very interesting blog thanks for sharing. Welcome to Indus Car Rental service providing company, offers Taxi Service in Gurugram , Taxi in Gurugram ,Taxi Cab Gurugram , Car Hire Gurugram service for local to outstation, airport cab hire services . Peace. Wildernesses. Statures. Chills. 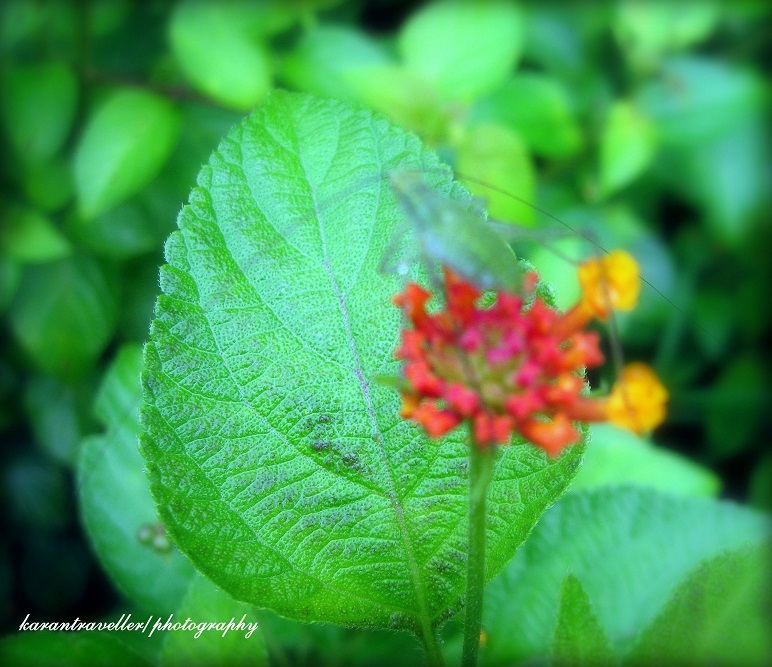 Natural life. 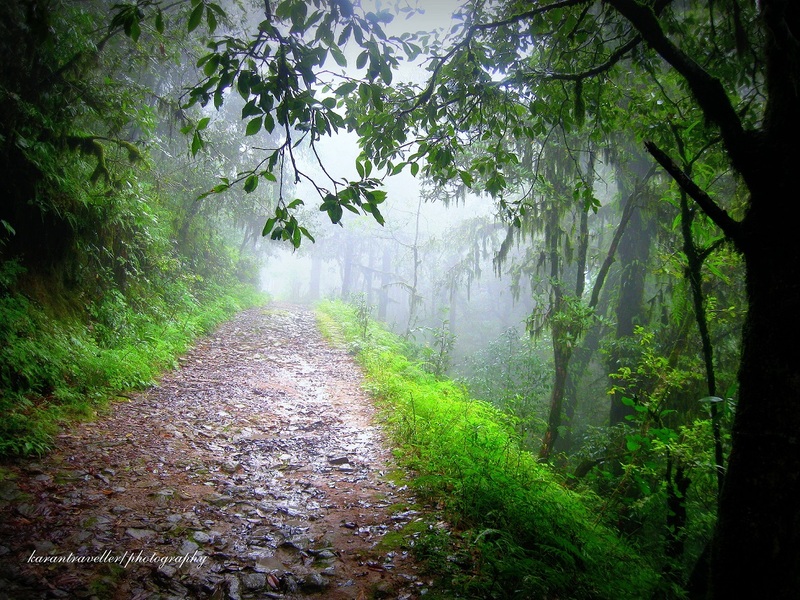 All you untamed life lovers out there, make a beeline for Binsar – one of the rising traveler goals in India. Hi, thanks for sharing about your trip to Binsar. This is one of the best places to enjoy during weekend or vacation. Sure, everyone will enjoy at this place and this blog helps people to plan their trips. If anyone wants to travel this place, book bus tickets in Bus Ticket Booking portal. Dead Body Freezer Box on rent hire in Delhi for transporting dead body in all over India. Aggarwal Ambulance service provides best quality dead body freezer box by which dead body will be safe from bacteria or other infections. For more info, contact us or visit the website. NGCF Rehabilitation centre in Punjab is a reliable and very well known rehab, de addiction and Nasha Mukti Kendra in Punjab. Here you can get several natural therapy and activities by which you can get rid any type of addiction without any problem. Wow!!! It seems a very beautiful place.... Thanks for sharing this article...Very nice information for traveler ..thanks a lot for sharing this information.Thanks a lot for giving proper tourist knowledge and share the different type of culture related to different places. Fast Car Booking is one of the leading Delhi to Lansdowne Taxi and Cab Services provider in Delhi to all over.